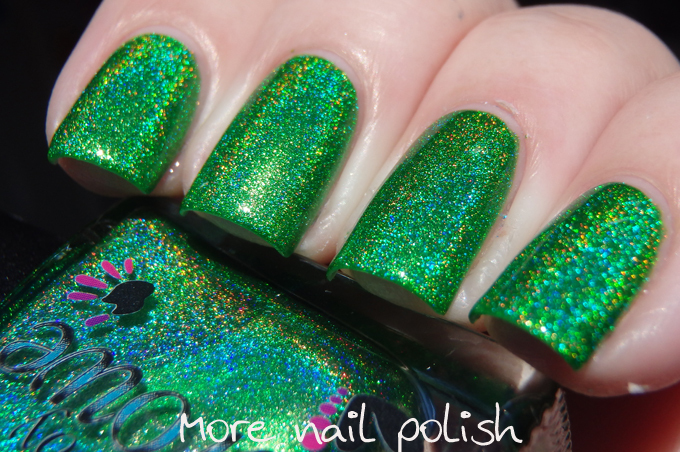 Wowee - Gemini Rising from Colors by Llarowe is one incredible glowy and vivid polish. It is such an amazing green and has so much intensity. But holy cow is this biotch a stainer. I had been warned, so I knew to double my base coat, but this little minx still left a couple of yellow marks though two layers of base. It also stained my skin yellow when I removed it. It's such a shame that the tints in this are too concentrated because the colour is just so amazing. 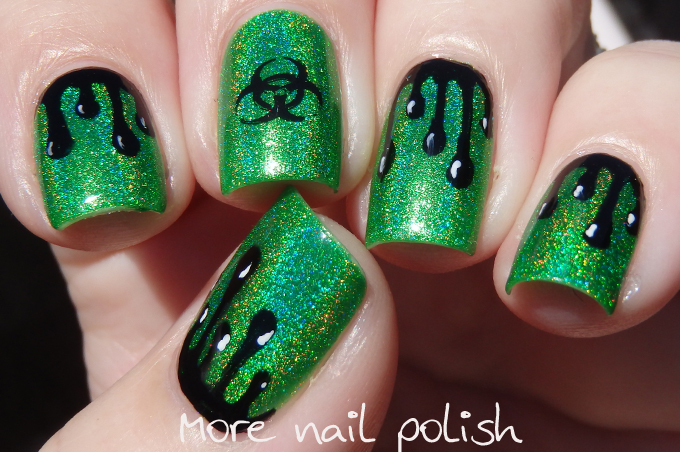 The brightness of the base called for me to do some biohazard nail art. 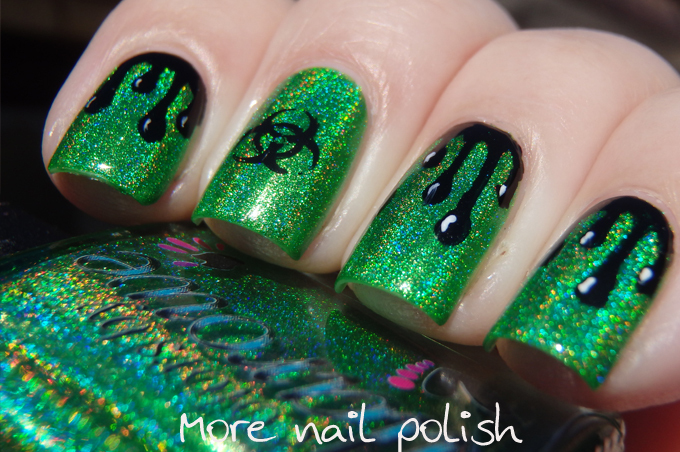 I stamped the biohazard image and hand painted the drips. The contrast of the black and green is awesome. 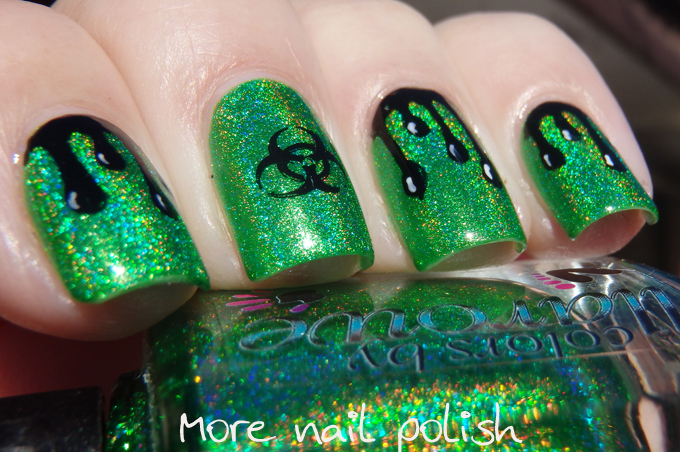 This is such a great polish for Halloween. Here are some swatches of CbL Gemini Rising on it's own. both are a must have imo. I just googled those two bottle, gorgeous. Definitely going on my wishlist. 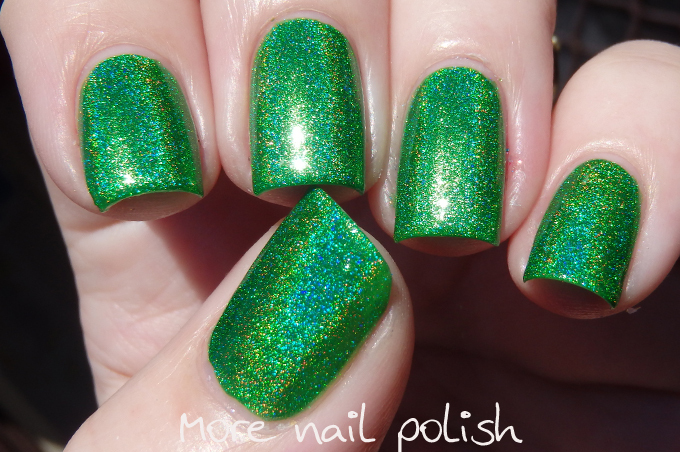 I also desperately want the LE polish from DD Champagne Wishes and Holo Kisses - but it's not available anymore. Thank you - I've checked my time zone converter and think 7pm central US time is 11.00am on Saturday here, so I should be right to check out the restock. Good luck! That new red looks amazing too. Damn it, only just got home from taking the kids to t-ball and I missed out of CWHK - sold out. I missed it too, it was 3 in the night so I was sleeping. Good luck too! 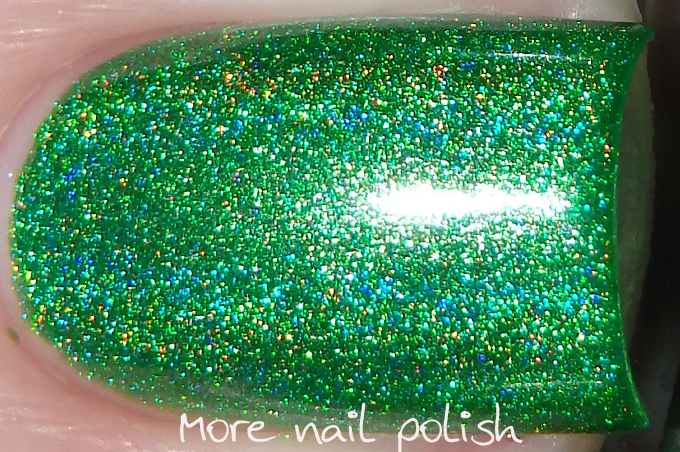 I have a feeling chapagne wishes may be a holo version of opi dazzled by gold. 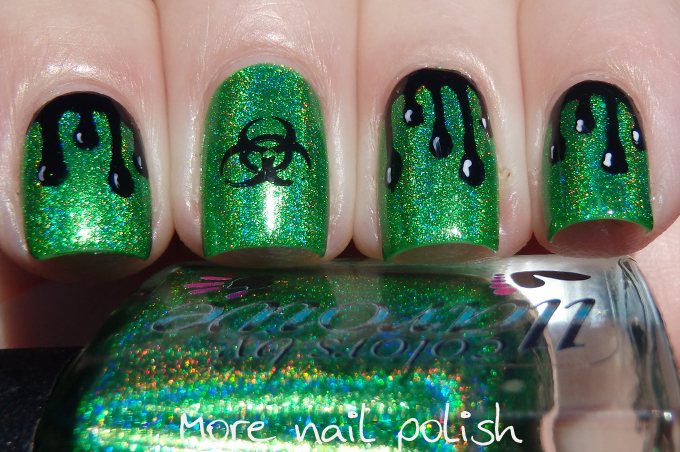 it really doesn't matter if it is not dbg holo dupe, the swatches look extremally promissing.